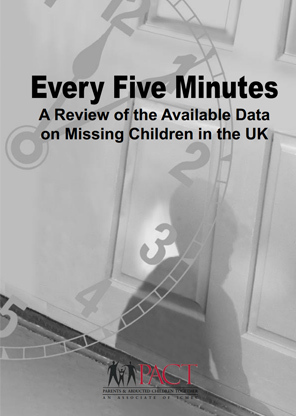 Every Five Minutes (2005), partly funded by the Home Office, analyses in meticulous detail data collection in the UK on missing children. It reveals that it was then impossible to obtain from official sources an accurate picture of how many children went missing each year and why. It analyses the reasons for this sorry state of affairs, concluding that only government leadership and data collection based on a uniform standard for the UK as a whole can remedy the situation.